Last week my BFF’s daughter, Tori, was confirmed. When I inquired as to what I could bring for the celebration dinner, she asked for one thing…something lemon. As in really tart and lemony. Her two favorite things on the planet are lemons and blueberry. Combine them and SCORE one for “Auntie” Mary. I am always happy to take up a baking challenge. I searched though my cookbook stash and came across Your Cup of Cake by Lizzy Early. I went through it and come across these gems. I made the recipe once as directed and decided to tinker with it a bit. It needed some more lemon and tang. I also wanted a more dense crumb than the original recipe had. So I played around with it a bit and came up with the recipe below. 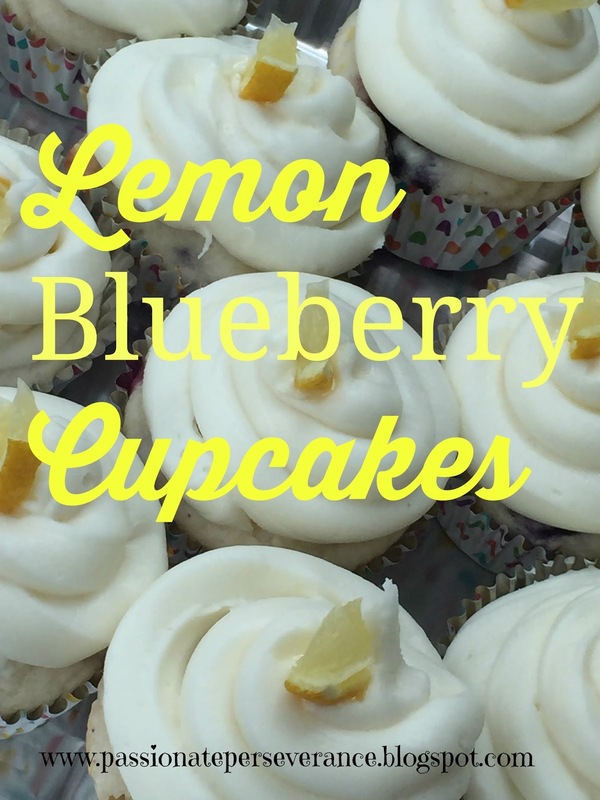 It was the BEST lemon cupcake I have ever made. Truly. Dense, moist and lip smacking lemony without being sour. Needless to say, Tori was one very happy young lady. If you want more recipes you can check out my In the Kitchen page. Yumminess abounds. *** lemon oil is more intense than extract. So that’s what I used. You can also use lemon extract which is a little lighter flavor. I get both of mine on-line from King Arthur Flour. 3. In a mixing bowl, combine eggs, egg whites, oil, lemon juice, lemon oil, milk, yogurt and lemon zest. 8. For Buttercream: Beat butter and cream cheese for 2 minutes. Scrape down the bowl , add zest of 3 lemons and beat again. Add lemon juice. Gradually add powdered sugar until you have reached the desired consistency. 9. Frost the cupcakes and top with either blueberries or sliced lemons. Oh, yum! 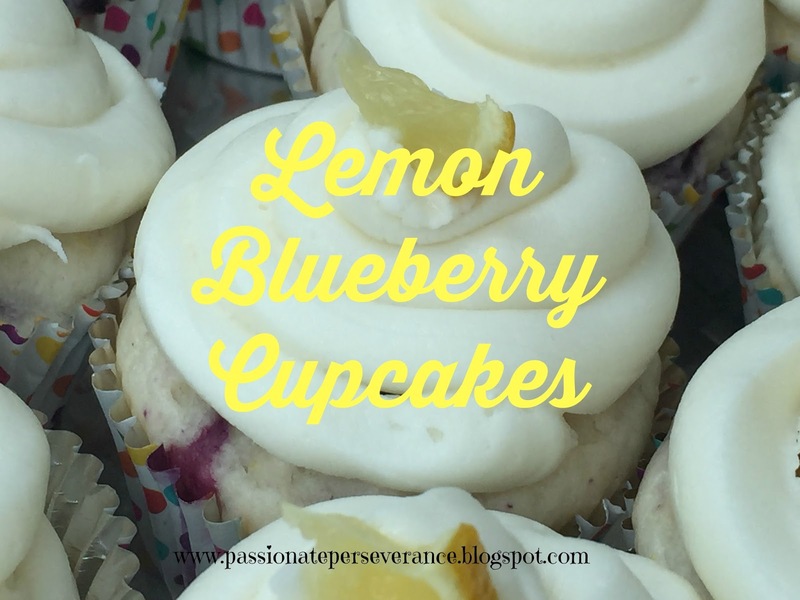 Lemon and blueberry is always a winner, and those look beautiful, too! May I ask a silly question: what is lemon oil? Lemon extract? lemon oil is more intense than extract. So that's what I used. You can also use lemon extract which is a little lighter flavor. I get both of mine on-line from King Arthur Flour.